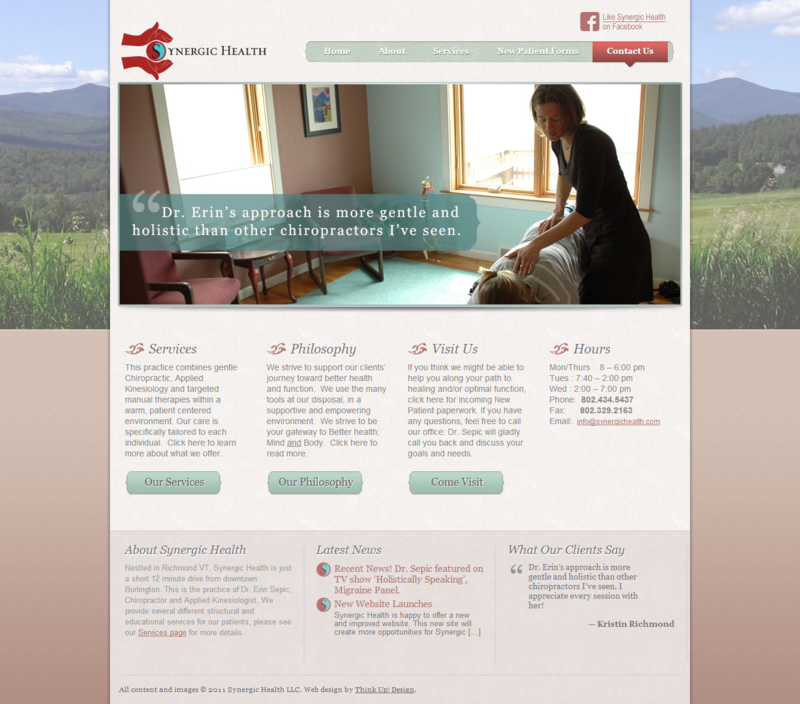 Synergic Health is a holistic chiropractic clinic in Richmond Vermont. 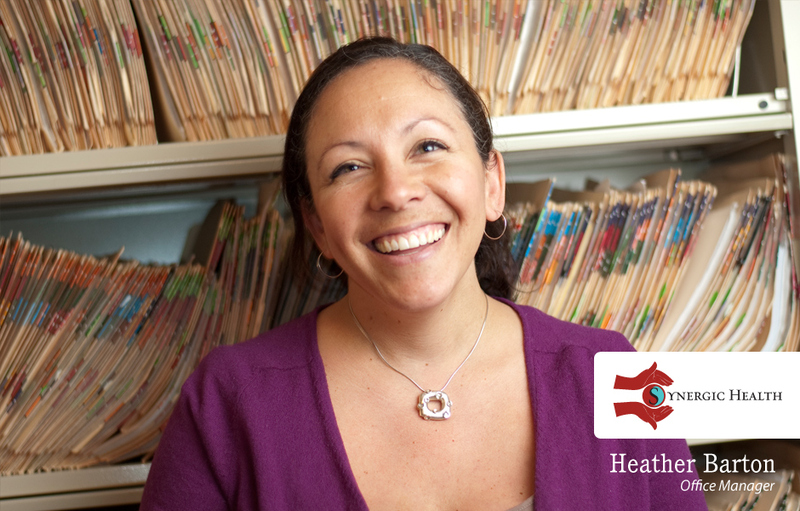 Focusing on giving families well rounded natural health care Dr. Erin Sepic came to Think Up! 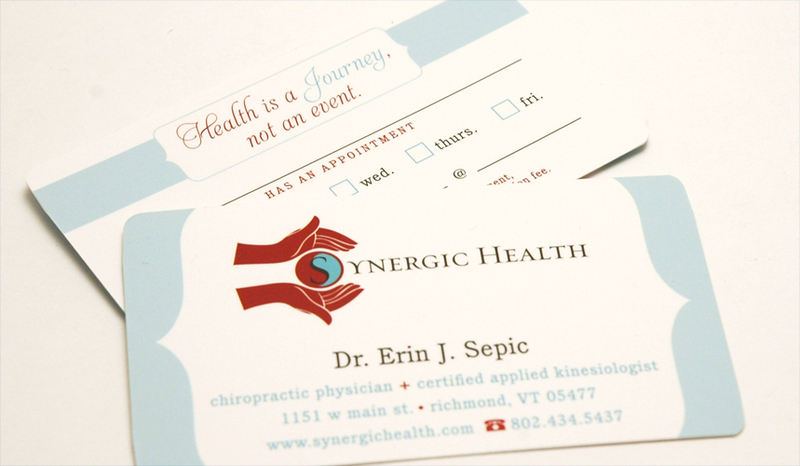 with the goal of re-branding the out-of-date business identity and creating a new face for her practice. Focusing on the nurturing aspect of natural health care which relies on balance between patient and physician and physical body as well as the emotions, mind and nutrition; the logo and brand colors were conceived. Think Up! followed with new business cards, patient RX forms, a newly designed and developed website and staff portrait photography and photography of the business premises for use on the website.